Linguasso (for lingual and Picasso) creates totally random works of art, composed of text and based on varying emotions [which have been] put into a small library. 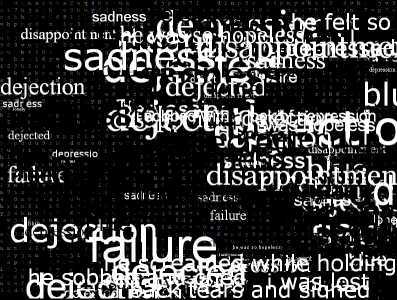 It chooses an emotion, then displays associated words and dynamically created sentences in random fonts, sizes and places. It’s quite addictive to watch over and over again, as each design seems to tell its own story.